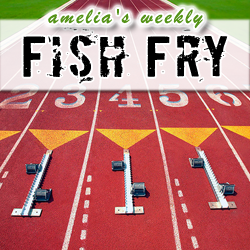 In a special executive focus Fish Fry, this week I interview Achronix CEO Robert Blake about Achronix’s new high-end FPGA family (based on Intel’s new 22nm Tri-Gate technology). Robert and I discuss why this new family may be a serious contender – going head-to-head with the most powerful FPGAs from the big guys. We also explore what their software tool story looks like, and why domain-specific hard IP may be the key ingredient in their secret sauce. Also this week, I am giving everyone another chance to win a MACHXO Pico Development Kit courtesy of Lattice Semiconductor, but you’ll have to listen to find out how to win.